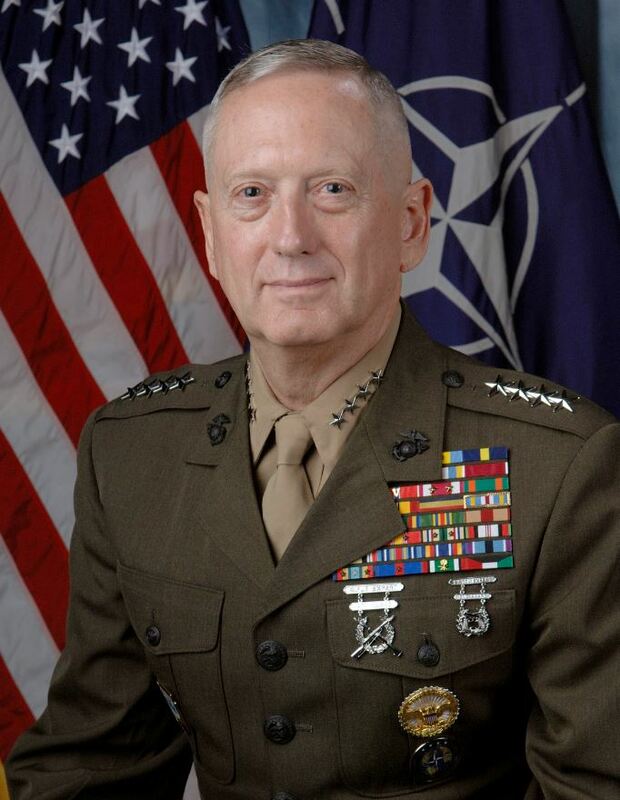 CEO David Bell reflects on the leadership qualities of Trump’s new US Defense Secretary, General James ‘Mad Dog’ Mattis. At the end of last year, I attended a meeting of the Retired Actuaries Group Sydney – RAGS. In the wide-ranging conversation that followed, the future presidency of Donald Trump came up (have we talked about anything else since?). There was talk about (then) President-elect Trump’s future forays into foreign policy and his attitudes toward China which led to a discussion about one of his single most important Cabinet appointments, that of Defense Secretary. The US Defense Secretary sits atop a vast military machine and accompanying civilian bureaucracy – the most powerful in the world bar none. One of the Secretary’s jobs is to translate the political will of the Trump administration into action by the US military: the US Navy, Air Force, Army and Marine Corps. I have thought a lot about the implications of the selection of (former) Marine Corps four star General James Mattis (pictured right) to the position of US Defense Secretary. ‘Mad Dog’ as he is known, (his radio call-sign ‘chaos’ is even more descriptive), is regarded as a ‘warrior monk’. He has dedicated his entire adult life to the study of warfare – it’s a fair bet to say that Sun Tzu’s, The Art of War, is on his all-time favourites reading list. I personally think he is an inspired choice by President Trump. His monikers belie the fact that he is a man of action; as well as someone who understands the big picture and accompanying subtleties of being successful as US Defense Secretary. One of the most well-written newspaper articles I have read is about then Major General Mattis’ decision to sack one of his subordinate commanders, Colonel Joe Dowdy, during the second Gulf War in 2003. It was written by Christopher Cooper and published in the prestigious Wall Street Journal (for those you who subscribe, you can access the article here). Mattis’ action encapsulated one of the toughest decisions any leader may have to make: do you press on with the mission and sacrifice your soldiers (Marines in this case), or do you put the welfare of your people first? While this type of decision is a one that the military well understands (if not quite accepts), there are echoes in business and organisational life. Understanding Mattis’ decision also gives an insight into one of the most powerful people in the new US administration, and the apocalyptic power that a President and Defense Secretary can potentially wield. For Colonel Joe Dowdy (then) in his forties, commanding the famous 1st Marine Regiment (3,000 Marines), in war, would have been all that he would have dreamed of. Only Marine Corps officers on the fast track get to command Marine infantry regiments. It would have represented the culmination of years of training and dedication throughout his 24-year career. Dowdy’s boss Mattis was the commander of the 1st Marine Division, another famous Marine formation steeped in history and sacrifice, and he was also on the fast-track (as recent events have proven). The moment leading to Dowdy’s dismissal came down to this. In the drive to capture Iraq’s capital Baghdad, the 1St Marine Regiment became stuck near the city of Nasiriyah. Faced with the option of fighting through narrow streets with limited armoured support, Dowdy was rightly concerned about the complicated and bloody battle that would follow, and the casualties that his men would take. For his part Mattis had his eye on the bigger picture; he was an avid proponent of manoeuvre warfare where you never stop and hence keep your enemy off balance and easier to defeat. He would have had pressure from above to keep going and get the war over as quickly as possible. A quick end to the conflict would mean fewer coalition casualties and the public’s appetite for lengthy conflicts has diminished. Over the years my view on who was right has changed. My immediate sympathies lay with Dowdy. Exhausted by the fighting (like everyone else) and wanting to protect his men no matter what the mission, he held true to his beliefs. In recent times, re-reading the article, I think Mattis made the right decision. Yes it was tough on Dowdy, but Mattis understood what was really at stake. He had the courage of his convictions to make the gut-wrenching decision which he could not have enjoyed (Mattis too has a reputation for looking after those he leads). I don’t think I need to labour the lessons here for anyone involved in making tough decisions in any field of human endeavour. It takes courage to make difficult decisions and often the easy way out is to compromise or prevaricate. Ultimately however, these types of decisions involve judgement calls. Mattis exercised superior judgement on this occasion (and on many others); it augurs well for someone who has just landed one of the toughest jobs in the world.